By Reehan M. Ali, D.O. 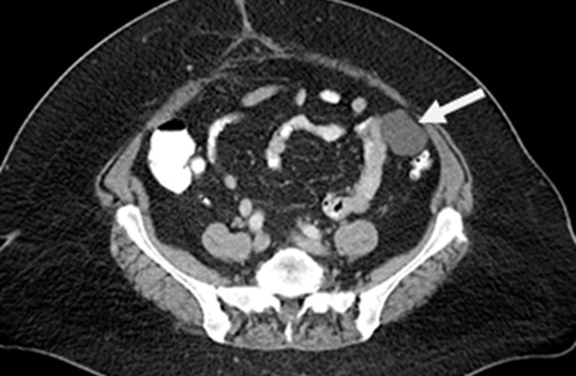 A 67-year-old woman presented with an incidental pelvic mass that was found during a total abdominal hysterectomy and bilateral salpingo-oophorectomy (TAH-BSO). She denied pelvic pain or vaginal discharge. Past medical history and review of systems were non-contributory. Physical exam was unremarkable. The patient was referred for a CT of the abdomen and pelvis and subsequent pelvic ultrasound for evaluation of the incidentally found pelvic mass (Fig. 1). Incidental pelvic mass on TAH-BSO. Non-adnexal cystic pelvic mass abutting small bowel. Incidental findings during abdominal and pelvic surgery are a fairly common occurrence. Surgeons will subsequently turn to imaging in order to further characterize the incidental finding. The role of imaging is to narrow the differential diagnosis when possible and provide assistance in determining the need for potential future intervention. For pelvic masses in particular, CT, MRI, and ultrasound are often complementary modalities. One-third of small bowel duplications are symptomatic in the neonatal period. The majority present by two years of age.2 Complications include bowel obstruction, intussusception, abdominal pain, and GI bleeding.2 As in our case, they may also be silent in presentation and remain undetected into adulthood. 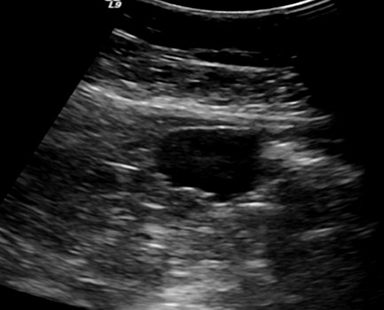 Incidental cystic mass lesions found during pelvic surgery can present a diagnostic challenge. While keeping in mind certain pitfalls, cross-sectional imaging can help to distinguish between diagnostic considerations, which include enteric duplication cysts, peritoneal inclusion cysts and cystic lymphatic malformations. Knowledge of typical imaging patterns is pivotal for proper interpretation of these studies. Kim SK, Lim HK, Lee SJ, et al. Completely isolated enteric duplication cyst: case report. Abdom Imaging 2003;28:12-14. Macpherson RI. Gastrointestinal duplications: clinical, pathologic, etiologic, and radiologic considerations. Radiographics 1993;13:1063-1080. Gumus M, Kapan M, Gumus H, et al. Unusual noncommunicating isolated enteric duplication cyst in adults. Gastr Res and Pract 2011;2011:1-3. Cheng G, Soboleski D, Daneman A, et al. Sonographic pitfalls in the diagnosis of enteric duplication cysts. AJR Am J Roentgenol 2005;184:521-525. Jain K. Imaging of peritoneal inclusion cysts. AJR Am J Roentgenol 2000; 174(6):1559-1563. Losanoff EJ, Richman BW, El-Sherif A, et al. Mesenteric cystic lymphangioma. J Am Coll Surg 2003;196:598-603. Leventi A, Christodoulakis M, Taflampas P, et al. 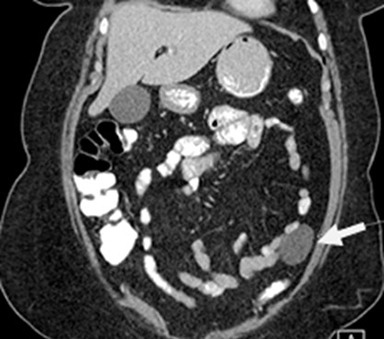 Mesenteric cystic lymphangioma: A case report and literature review. J Surg Radiol 2010;1:1. Ali RM. Non-Adnexal Cystic Pelvic Mass. J Am Osteopath Coll Radiol. 2012;1(4):35-37. Dr. Ali works with the Department of Diagnostic Radiology, Botsford Hospital, Farmington Hills, MI.